I will predict 22, just Edmonton. Apr 15, 2019 | 19:02 2 I can't believe Edmonton is that stupid but 16 seats is my guess for a total. Apr 15, 2019 | 21:04 4 Alberta has 87 seats. I predict the NDP will get 17 seats and most will be in Edmonton where the union votes are concentrated. I’m thinking Alberta has learned a lesson the hard way. jobs benefitting while the majority pays. Apr 15, 2019 | 22:16 6 I said she was doomed the night she was elected. The car was already off the cliff . Then Alberta said now you drive. She did the best she could , I think. It was really unfortunate for them to win it at that time. They get to pretend , they would have had a magic fix. Hide their corruption till after the election. Even Trudeau was a better manager than that. Last edited by sawfly1; Apr 15, 2019 at 22:26. Apr 15, 2019 | 23:29 7 Why would you chumps bother to reply to this thread, if you weren't going to answer to question, How many seats will the NDPers win. Apr 16, 2019 | 07:37 8 It will be interesting to see what our Agriville socialists have for predictions. Apr 16, 2019 | 07:55 9 Kenney will win. The price of oil will quickly double. The pipelines will get built within 12 months and Alberta will be great again! And if none of this happens it will still be all Trudeaus fault! So goes politics in Alberta. And the NDP are watching some well versed guys leave .??????? Apr 16, 2019 | 09:14 12 There were over 700000 advanced poll votes. That tells you something. Either way a message is being sent. Time will tell. Won’t know true results till the weekend. Kenney will win. The price of oil will quickly double. The pipelines will get built within 12 months and Alberta will be great again! Apr 16, 2019 | 10:22 14 Get your predictions in because I am giving surprise to the winner. Will disclose prize at midnight tonight. If Notley wins, I may jump in the lake, even if there is still ice on it. Apr 16, 2019 | 19:19 18 I'll predict 15 seats for the Nothing Doing Party. Not a trump fan , but to watch the likes of Rachel Maddow completely melt down was great. 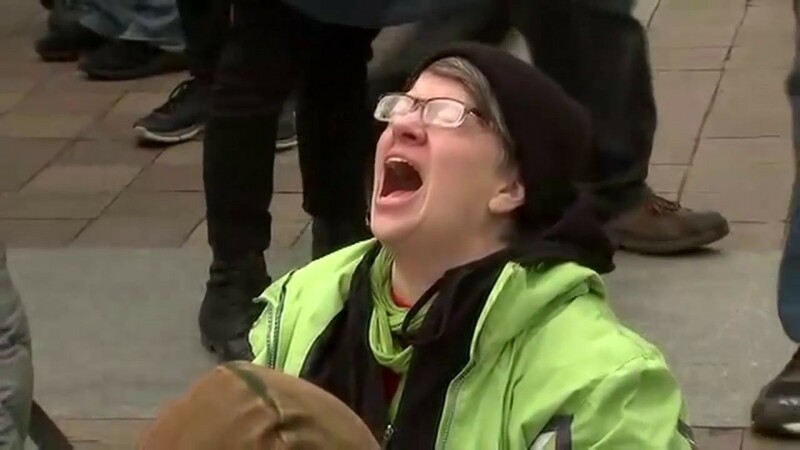 Actually to see Maddow melt down again after the Muller report was almost as good. Not sure why mainstream media has become so zombie like one sided . The media has become a cult like Scientology. Hopefully JT gets booted in October as well , then they can all have 🐊 tears again lol . Last edited by furrowtickler; Apr 16, 2019 at 19:58. Carbon taxes lose elections ! Trudeau will be the next carbon taxer to learn a lesson. Apr 16, 2019 | 21:11 25 Thanks for waking the F up Alberta! Apr 16, 2019 | 21:34 26 25 ndp. Apr 16, 2019 | 23:01 27 Do you see the big blue wave Grassfarmer, Chuck, dml? Apr 17, 2019 | 00:10 30 Well, it is midnight and the prize reveal (just a minute-gotta look up spelling). Looks right. To the closest predictor, I am offering a barbecue dinner at our cottage at a lake near Regina and a night at our cottage June 15, 2019. Since the count will go on for a day or two, I think it is fair to declare the winner April 20 at high noon - agreed?